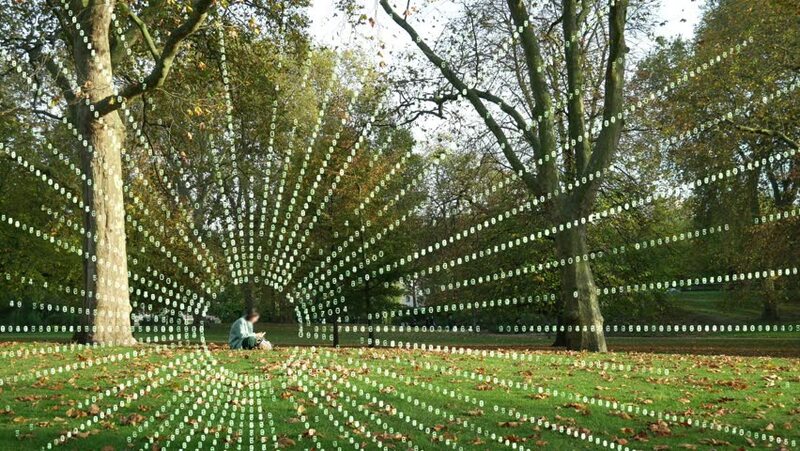 Using a smart phone in a park, data in, data out. Woman sitting in a London park looking at a phone. Streams of data coming out and going in to the phone.